Your ad worked. Somebody clicked it to learn more about your offer. If your landing page is good and you have a capture form in place, they filled out the form. Now the sales process begins. Let’s review some basic concepts before we get in to the sales process. You started with the MLM Advertising Overview. You decided you should definitely be advertising your mlm business online. You understand that you goal is more sales with your advertising. You have made some decisions about where to run your ads. You have worked on creating headlines that sell. If you did all that well, and got somebody to fill out your capture form, now the actual sales process begins. Your autoresponder sends out your information. Your prospect is going to read the information and then make a decision. If your offer is strong and your sales letter is well written, you just might close the deal. If your offer is not strong or your sales letter is not well written, you are in for a fun of no sales. So, let’s talk about the sales process and how it will work for you. 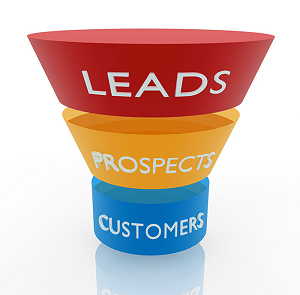 Advertising is for generating leads. Once the lead is generated, you want to build the “know, like, and trust” factor to build rapport. Once your prospects feel like they know you, like you, and can trust you, they are more likely to buy from you or join your team. When they get your message, they are going to make a quick decision on how they feel about you and your offer, whether they realize they are making that decision or not. The role of your sales letter is to help boost the confidence of your reader. They need to believe that you know what you are talking about. They need to believe that your offer can help them solve a problem. They need to believe they can do what you are asking them to do. Any sentence you write in your sales message should help to establish and reinforce these concepts. They will have objections. Write your message to address and overcome those objections. They will have questions. Write your message to answer those questions. They will wonder if what you have written is true. 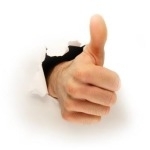 Include testimonials to show them how others have benefitted from your offer. They will wonder what to do next. Give them a solid call to action to tell them EXACTLY what to do in order to learn more, place an order, ask questions, etc…. Once you get that visitor to your site and in to your autoresponder, the sales process has begun. Make the most of your opportunity by crafting a well written sales letter to take them from being a Lead to a Prospect to a Sale. Chapter 2: Should You Advertise Your MLM Business Online? Chapter 4: Wondering Where To Advertise? How Do The Top TOAN Affiliates Do It?